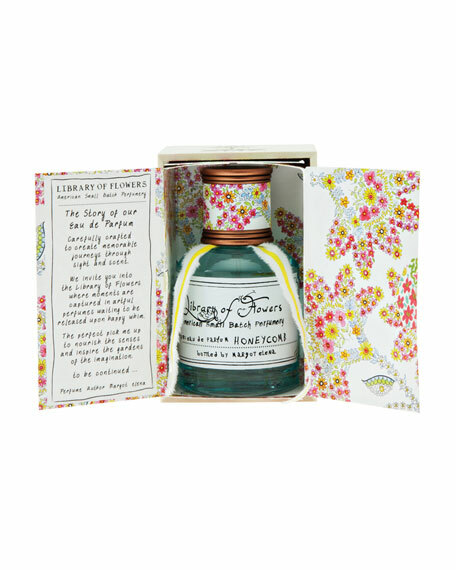 With the tagline, "carefully crafted to create memorable journeys through sight and scent", Library of Flowers captivates the senses with exquisite packaging, indulgent ingredients, and a memorable blend of scents in a wide range of bath and body products. This small batch perfumery, bottled by Margot Elena, divides their unique scents into three distinct chapters: Ch. 1: Paper, Cotton & String; Ch. 2: Nectar + Pollen; Ch. 3: Arboretum. Within these chapters you can select blends such as Willow & Water, The Forest, and Moon Shadow in hand cream, bubble bath, eau de parfum, and more. 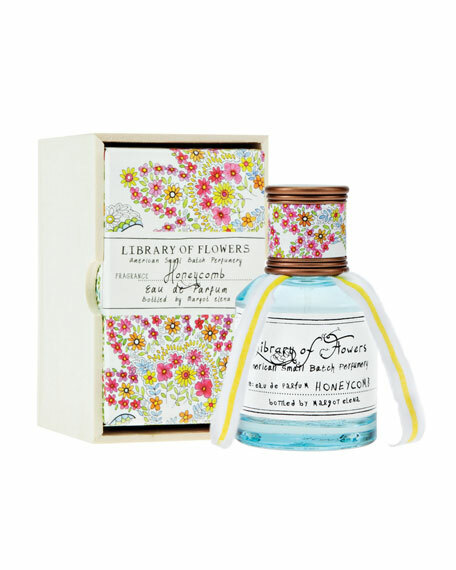 Whether treating yourself or a treasured friend, the Library of Flowers collection of products will be admired and remembered through the lasting gift of scent. Escape to the sun-drenched, azure-blue Mediterranean. 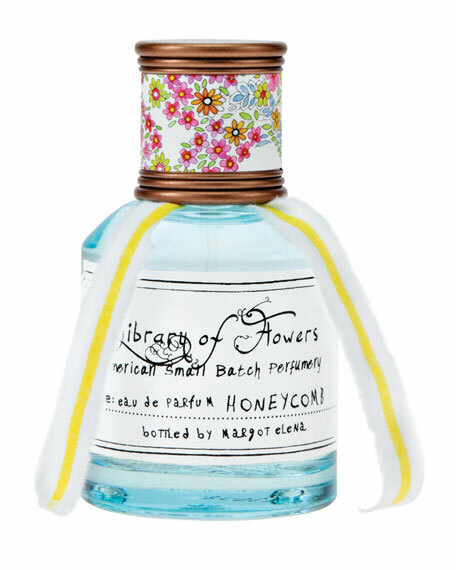 Sweet Honeysuckle and sparkling Grapefruit take you there, evoking lush flowers and shimmering beaches.